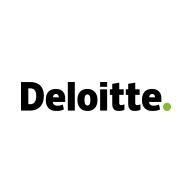 Our Financial Technology practice develops and licenses a growing family of proprietary software products (see http://www.deloitte.com/us/financialtechnology) to assist financial institutions with a number of complex topics such as accounting for credit deteriorated assets and the administration of investments in leveraged loans. We are actively expanding and are looking to add additional software developers to our existing team. In addition to competitive compensation and benefits we provide flexible work environment, excellent opportunities for growth and learning and invest in our talent development. Communicate with technical and business leaders on business requirements, system-related capabilities, programming progress, and enhancement status. Experience working with .Net Framework is required. A successful candidate should be analytical and detail-oriented, as well as team-oriented, but also be able to work independently.